Auctions are rapidly gathering pace as the preferred way to buy and sell a property, especially ones that are unusual or could make a great investment. And by the looks of the swelling numbers of folk filling our auction rooms time and time again, it’s showing no signs of slowing down. We have a fantastic upcoming property auction in Leicestershire, East Midlands that’s taking place next month on May 18 and yet again it’s getting everyone around the country excited. This one will be held next month by our very own Auction House Leicestershire at the Readings offices in Granby Street, Leicester at 6pm. Our auctions are the place where a whole host of exciting, unique and challenging properties can be bought and sold – and many buyers love the wonderful array of properties and investment opportunities that are always there on the list of Lots to bid for. are getting their viewings in and checking their budgets, because they’ve got their eye on one or two of the hot properties that are coming up. One of the unique lots that we have available is the former public house known as the Hunters Rest in Carlisle Street, Leicester. The building has been converted into a block of 14 one bed and studio apartments and has an amazing guide price of £550,000- £650,000 (plus fees). There’s also the possibility of further development of two town houses on the site, which makes it a fantastic opportunity for any potential landlords. Whether you are a property developer, looking for buy to let property, or somewhere that you can renovate and sell on at a great profit, this is the place to find your investment opportunity. We have a great mix of semi-detached houses located in the city and some of the gorgeous villages of Leicestershire, as well as commercial properties, ideal investment opportunities, buy to let and renovation projects. Coming to a Readings property auction in Leicestershire, East Midlands, means that not only will you get an auction run by the professionals, who have many years of auctioneering under their belt, but, whether you’re buying or selling, everything will be set in stone on the day. So, once that hammer falls, there’s no backing out for anyone who has chosen to buy, meaning no fear of getting gazumped or suffering inconvenient headaches when things fall through further down the line. There are a few reasons why investors love to buy a property at auction and why anyone looking to sell might also choose to do it this way. As well as the chance to have your property in the experienced and professional hands of our auctioneers, look at some of the benefits and influencing factors for buyers and sellers looking for a property auction in Leicestershire and the East Midlands below. 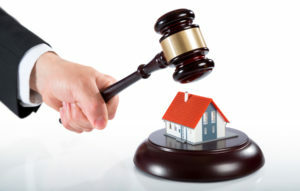 Do you have a property to sell at auction? If you have a property that you would like to sell and want it to take pride of place among the buzzing and vibrant atmospheres of one of our auctions, you can either contact us directly on 0116 222 7575 or submit your property here. At Readings, not only do we come with a long and esteemed history of providing estate agent services for happy customers all over the county, but the auctions we hold are still, to this day, held in the highest regard by developers and investment property buyers who are looking for a great deal. Our wide range of experience sees people return time and time again to our auctions, thanks to our proven success rate and excellent track record, so why not come along to see if you could pick up a bargain?